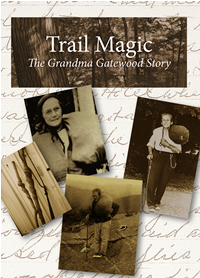 Many people have been asking, "What's next now that your Grandma Gatewood project is done?" It was a difficult decision - so many stories to choose from! But after much discussion, we have chosen to spotlight Victoria Woodhull as our next Feisty Female. Don't know who she is? Victoria was once the Most Famous Woman In America! Our new storytellng program, VICTORIA WOODHULL: SHATTERING GLASS CEILINGS will be available for presentations beginning July 1, 2019. Bookings are now being accepted. check our calendar for complete information about upcoming presentations in person or on TV. Are you looking to for a special theatrical program that's perfect for your group or organization? Or for an enchanting performance to entertain you and your friends? Eden Valley has just what you're looking for! EVE has an intriguing repertoire of time proven programs to tickle your fancy. Or, you can inquire about developing a special program for your group -- Just Ask Us! As we finish our 40th anniversary, we are starting a series of stories to tell our history. Read all about it! Watch videos and PowerPoints about EVE and its programs. We are grateful to all our supporters who help us tell the stories that others forgot! We invite you to join this special group. All donations are tax-deductible and gratefully accepted. To make a donation through PayPal, simply click the button below. There's no such thing a "small donation"! We appreciate your help. use GoodSearch.com for all your Internet searches and use GoodShop.com for all your Internet shopping. It's easy and free and each of your searches sends money directly to Eden Valley. To learn more, click here. Your Amazon.com and Amazon Smile purchases made through the Eden Valley website, help support us, too! You can shop at ShopForYourCause. Simply register on the site, choose Eden Valley Enterprises as your cause, and shop! Any purchases made through this site, will provide a donation to Eden Valley -- it's that simple!